When I was more foolish than I am now, I sent my manuscript off to a well known publisher. What I sent was plainly trash. They rejected it. Now, I've really rewritten this thing. There is no comparison in quality. The first three chapters received the most attention. They were boring as heck. (Is heck boring? One wonders.) Anyway, I'm pleased with the rewrite. Would it be stupid to resubmit to the publisher who rejected me? And if I do resubmit, should I explain that they saw it once before, but it's been exstensively rewritten? Thanks for all you do. You've saved me from folly more than once. First, how much time has passed? More than a week one prays. More than two years is better. Chances are, if you were unagented, your work was read then by someone who is not still there reading the slush pile. They've either run screaming into the night, enrolled in obedience school or gotten promoted to another job. Re-title it, re-send it, and keep your Killer Yapp muzzled. And if this gets published, I want "miss snark, you've saved me from folly more than once" in the acknowledgments! The number of writers who should put that in their acknowledgements are probably legion. I will definitely thank Miss Snark in my acknowledgements. I wish to thank my mother for giving me birth and tolerating more nonsense than any living human should have to endure. I'd like to thank my first grade teacher for allowing me to ignore all her good advice and go my own way. And special thanks to my uncle who is as insane as they come and smarter than .999999 percent of the human population. Thanks to Bill E. Goat for patiently listening to me read and reread the manuscript. Thanks to Barbara for an excellent critique. Thanks to my publisher for being silly - I mean wise enough to publish this nonsense ... err umm great piece of literature. And most of all I wish to thank Miss Snark for her excellent advice and for rescuing me from foolishness more than once. I have to suspect that given the sheer vast amount of paperwork that agencies and editors see on a daily/weekly basis- the liklihood that they would remember an earlier version is slim. I suspect some days they are lucky they can remember what is their favorite gin after all that reading. Oh the inhumanity! Some publishing houses do keep logs of submissions with title and author's name. Wouldn't be a bad idea to retitle the ms just in case. As to the topic at hand here in this post: I was a little surprised that you didn't take "Formerly Foolish" to task on one point in particular. Given that there are bijillions of agents, and only a handful of publishers, why send it back to a publisher (unsolicited, and unagented) in the first place? I could have sworn I read, somewhere in these pages, that, in many cases, writers with agents get more respect than writers without agents, and/or that manuscripts submitted by agents have a better chance of actually being read, and/or (etc)... So the question of whether or not the publisher who rejected the "plainly trash" version of the manuscript would be receptive to its vastly-improved successor side-steps the more important question of how best to accomplish the task at hand: how do I get my book published? The issue of whether or not that original editor (or, as you point out, her cruelly-abused assistant---CLEARLY abused, i.m.o., if she was repeatedly subjected to the task of reading unsolicited manuscripts; but I digress) remembers the original submission pales in comparison to the fact that few publishers read unsolicited/unagented manuscripts anymore. Speaking from my own experience, it's hard enough to give material from reputable/ credible agents as careful a read as I might like, given the overall volume of submissions. The unsolicited, unagented stuff? I'm being honest here: 999 times out of a hundred [sic], it goes straight into the trash. If you're a criminal sitting across the table from The Cops, are you going to have that conversation alone? Hell no: you've got half a brain, you're gonna lawyer up. So why would writers (and my experience suggests that writers generally have at least half a brain), under similarly warm-and-fuzzy circumstances, do any different? If that manuscript really IS better than it was? And even if it isn't? 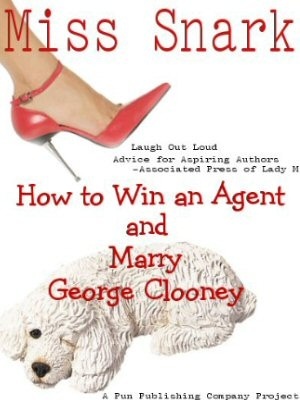 Don't go solo: GET AN AGENT! My manuscript is much, much better, thank you. I have two agents looking at partials. One is ignoring me, mostly. She’s had the first 52 pages since January 24th. I’ll allow her another month, and then I’ll presume the answer is ‘no.’ I’m not totally comfortable with that situation, and I am hard pressed to say why. Maybe it’s my neurotic-self whispering in my ear, “You know she just tossed it, and you’ll never hear back from her.” Maybe it’s more concrete than that. I’m concerned that another person who submitted almost exactly when I did received her answer almost immediately. True, the answer was “not right for me.” But still … Let’s just say that I feel that my material was summarily trashed, and no answer will be forthcoming. The other agent is waiting for additional material. I’m carefully re-editing before I send it. Hopefully, I’ll have it ready to mail by next Friday. I’m totally impressed with this agent and much more comfortable. Still, there are a number of publishers who take submissions from authors who lack agent representation. I see no reason to wait on agents who might not even reply. My book is very good. It’s been a case of “rejection is good for the soul.” I’ve rewritten so many times, my keyboard is worn out. But the effort shows. So, I’m not sitting around and waiting. It’s not in my nature. Pixies are impatient.